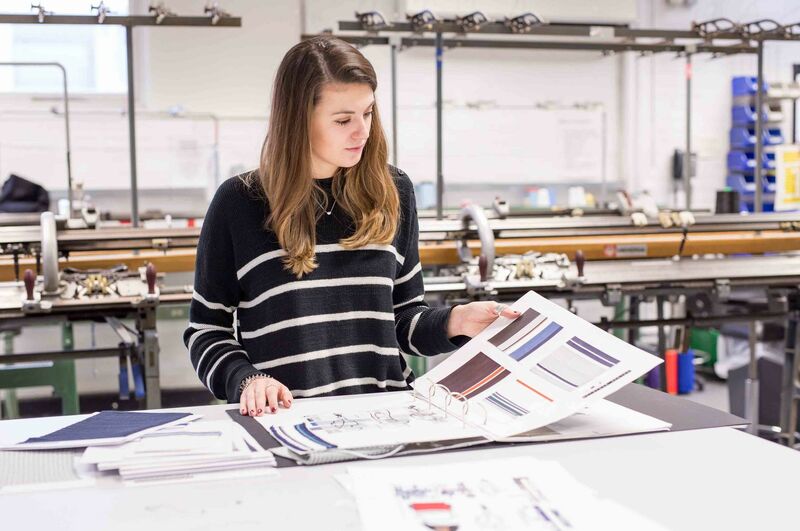 The course here is well established within industry and as a result, companies appreciate NTU graduates for their advanced skills and specific knowledge within the knitwear specialism. Has the course included any live projects with industry? “During Year Two we had the opportunity to be involved in a live project with either Acorn Conceptual Textiles, AllSaints or Next. I selected the Next competition and developed a range of samples, CAD flats and an illustrated line up as part of the brief. Can you tell us a little bit about your placement year? “I worked as a Creative Technical Product Developer at Hugo Boss, Switzerland. My main responsibilities included assisting the Knitwear Designer and Product Developers of the womenswear brand, BOSS Orange, with the entire development process. “I was heavily involved in the creation of illustrator sketches, developing jacquards using power knitting programmes and requesting knit panels from on-site technicians. I was also responsible for the maintenance of the knitwear archive. Why would you recommend someone interested in Fashion to consider studying BA (Hons) Fashion Knitwear Design and Knitted Textiles at NTU? “I would absolutely recommend both my course and the University to anyone! NTU’s reputation and connections with industry give you the chance to progress into jobs straight after graduation. As a result of my placement year I have been able to make vital connections within my chosen field, meet new people and travel, developing myself as a person and gaining invaluable transferable skills for my future career.